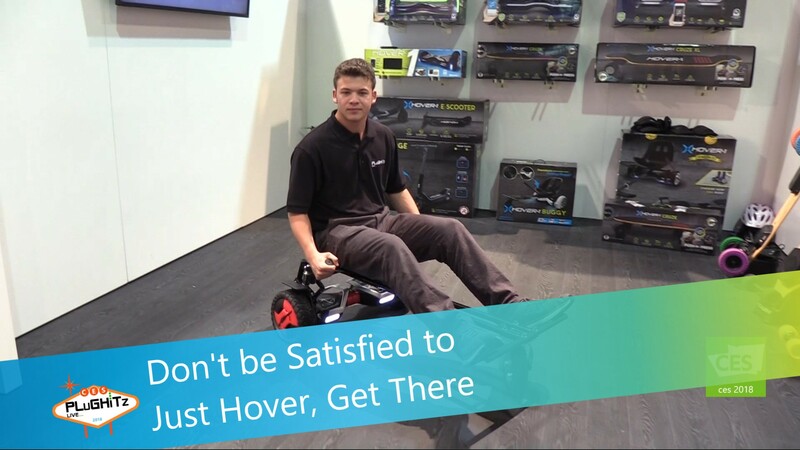 When it comes to hover boards, you don't want to leave too much to chance. If you are in the market, you want to go with a company that is tried and true when it comes to safety aspects and testing. You should also take a look at the spec list to make sure that you aren't just purchasing a toy. Make sure it can actually get you where you are going... and in style. Hover-1 prides themselves on being the solution to alternative transportation. They innovate their products to make traveling not only easy, but exciting. Their technological enhancements have stepped them into the transportation market to reach the next level in mobility. And in doing so, they also do their part to take care of the environment. Their eco-friendly products are powered by electric motors, producing zero CO emissions. The Hover-1 H1 Electric Scooter features 3 skill level riding modes and is app controlled. There is also a built-in Bluetooth speaker, is IPX4 water resistance with customizable LED headlights. It has a max distance of 12 miles with max speed of 10 MPH. The built-in lithium-ion rechargeable battery takes up to 2.5 hours to charge and has included safety features of overcharge and discharge protection. Our favorite parts of their product line are the available attachments. The only thing more fun than having a hover board is being able to turn it into a go cart in a snap. The go cart attachment is compatible with most electric scooters with 6.5" wheels. Hand-operation gives you full control of your riding experience with independent rear wheel drive allows for quick turns and reverse driving. The Hover-1 H1 board is available now in both black and blue for around $299, and the go cart attachment runs only $69.99.